My daughter is heading off to college in just a few short days. but one of the things I am looking forward to most is sending her care packages. or actually it is more of a POP! A POPSUGAR Must Have Box. 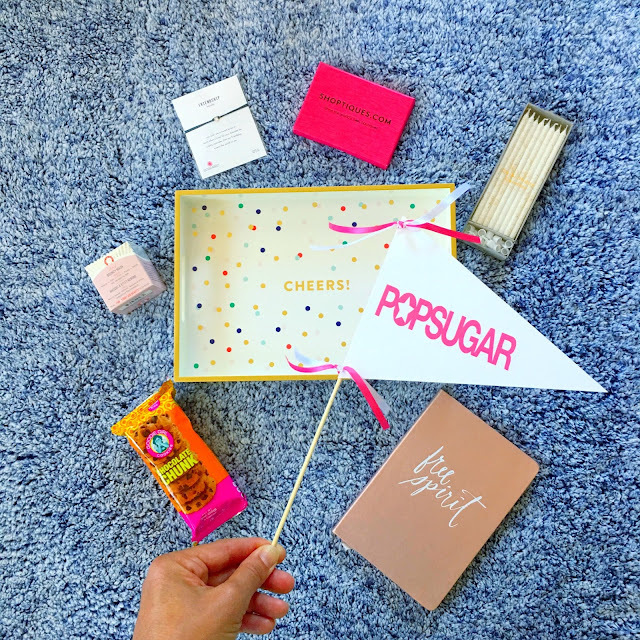 The August Must Have is a special box because POPSUGAR Must Have turns 5 this month. It features surprises from some of the favorite brand obsessions of POPSUGAR's founder Lisa. It is festive, fun and perfect for a freshman dorm fiesta. It's impossible not to smile when you see this Cheers! 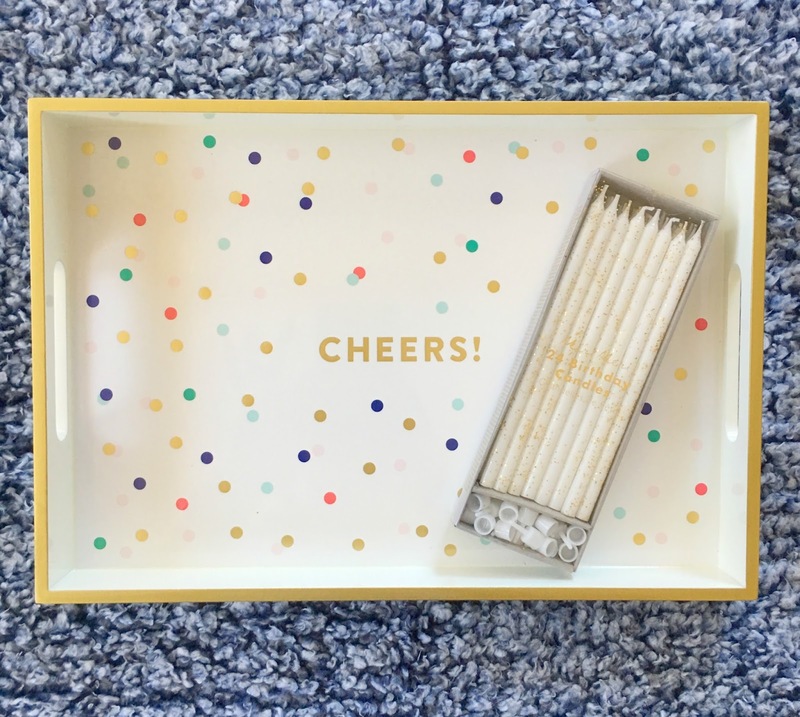 confetti lacquered tray. Perfect for resting drinks, phones, keys and hopefully textbooks as she lounges on her bed. it is to have birthday candles stashed away. With a whole dorm full of new friends, almost everyday will be someone's big day. These from Meri Meri are extra long and glittered to make birthday celebrations even more special. 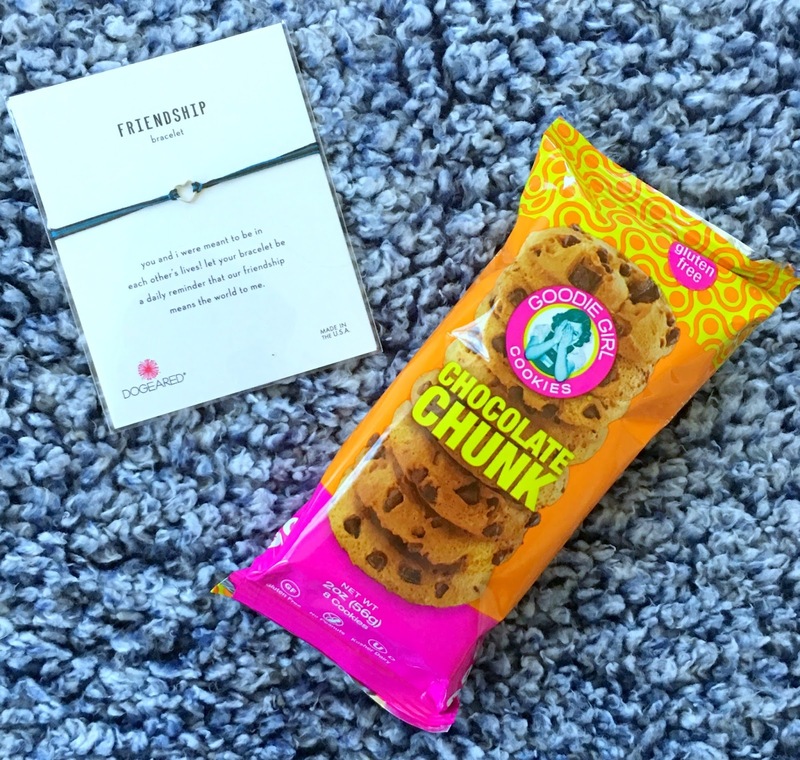 Isn't college all about sharing friendship and cookies? This dainty, sweet bracelet and delicious chocolate chip cookies are sure to be a hit. Everyone needs a little pampering and shopping, right? 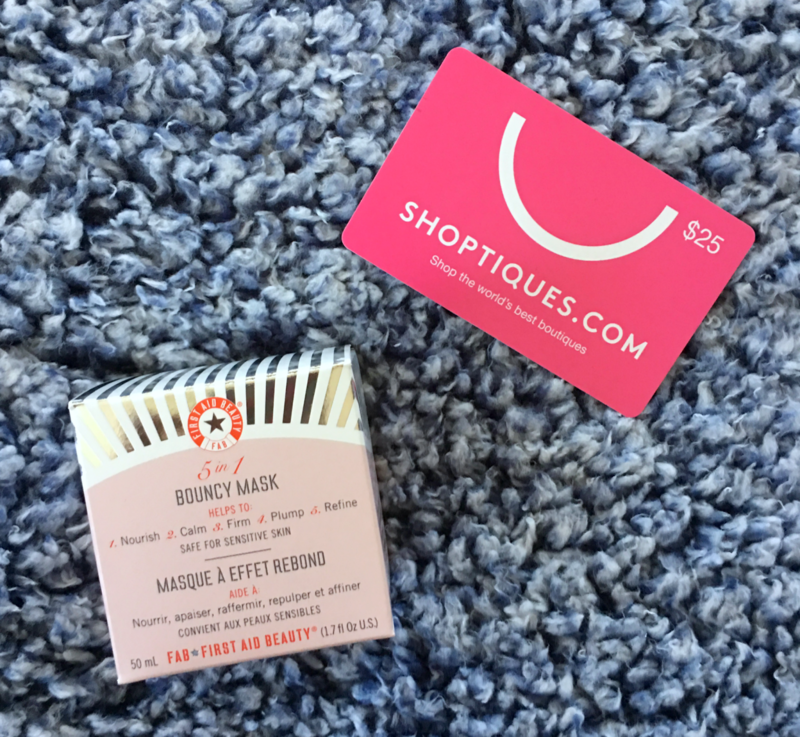 My girl can celebrate herself with a Shoptiques gift card and face mask. 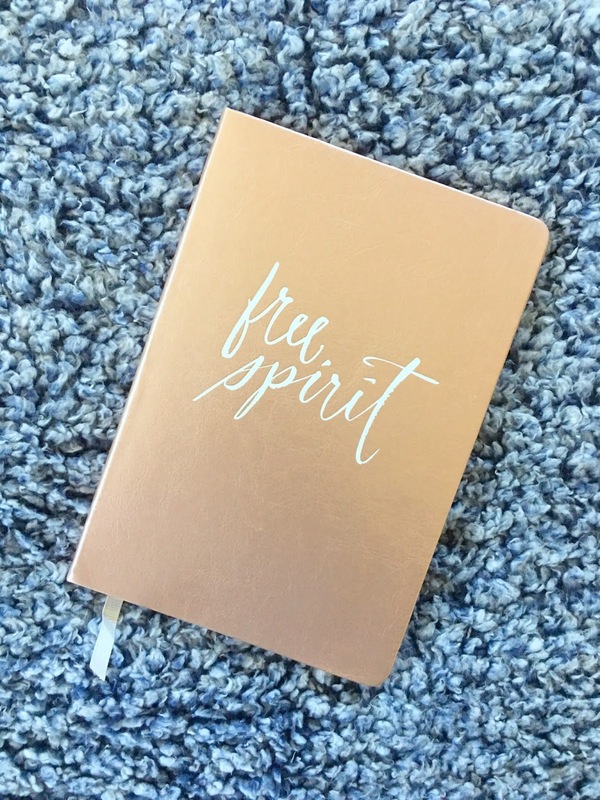 free spirit journal couldn't be more timely for jotting them all down. 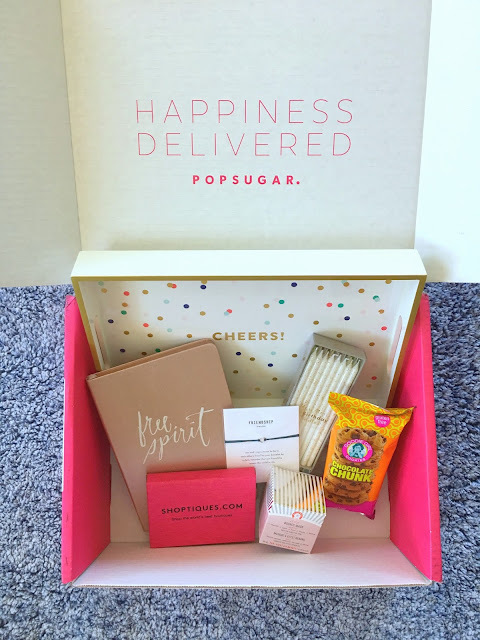 You can find out all about the POPSUGAR Must Have Box here. And use the discount code PARTY (expires 8/31/2017) for $10 off your FIRST Must Have Box! College kids shouldn't have all the fun, I got one for myself too! 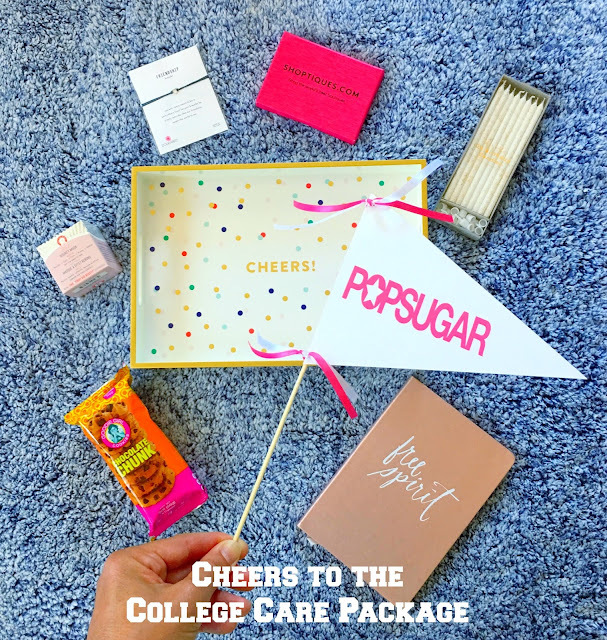 Thank you to POPSUGAR Must Have Box for sponsoring this post... my daughter thanks you too!